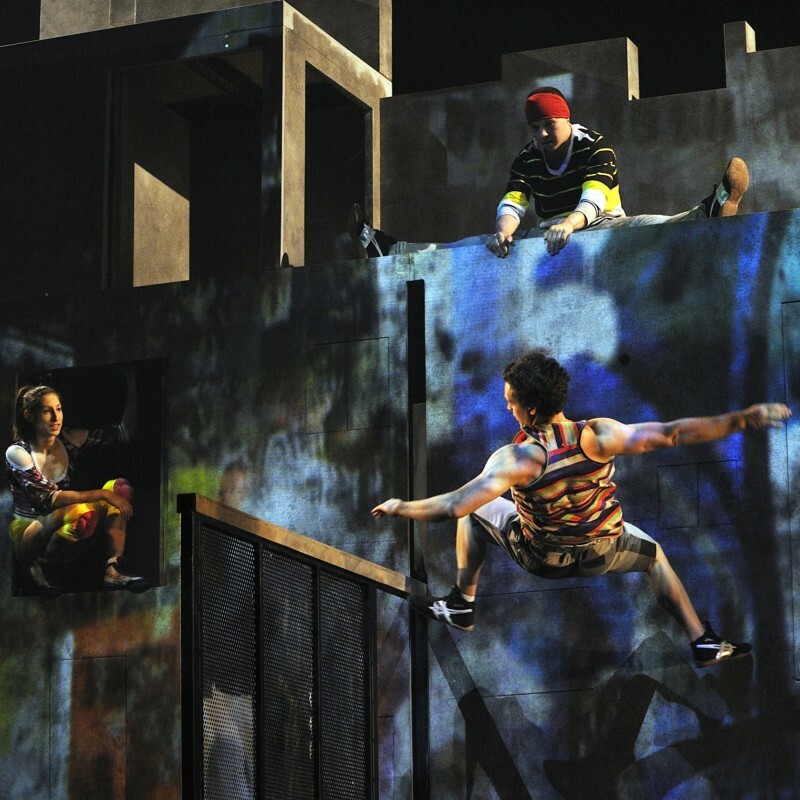 The show takes place in a futuristic city inspired by comic books, science fiction and the art of graffiti. The Circus already had a set for this production, but needed one that was suitable for touring around the world. We replicated the original version while taking into account the constraints of assembly, transport, and acrobatic needs. 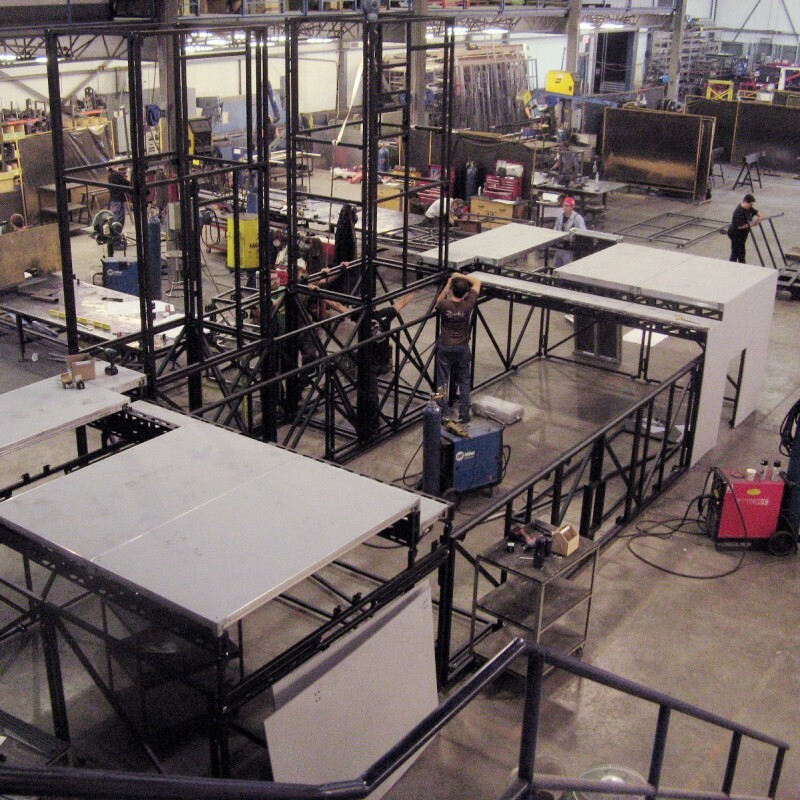 The vertical part of the set is an assembly of several moving elements such as doors, poles and cubes that needed to provide the acrobatics with a progression in the difficulty level of their acts. The wall had to be rigid enough to support the moving elements and allow the performers to pass from one level to another. During the show, a trampoline is placed to face the central wall of the stage. To do this, we created a floor that could be removed to reveal the trampoline and serve as a playing surface for the remainder of the show. On the sides of the central wall, two pivoting walls are used as a backdrop. When rotated 90o, they frame the trampoline number and can be used as bouncing walls. Setting up the stage in our facilities.